Everyone knows we love answering questions. We’ve made a column out of it. Most frequently asked, after “can cannabis help with my ailing everything?” (probably not) is “why isn’t my vape pen working?” (it’s a cheap POS made in a factory far far away), followed by “do you guys have, like the best life?” (it’s hard work, but yes) and then “can you get me a job in cannabis?” (maybe, but no one in cannabis has as much money as you think and anytime CNN says the words “green rush” a good person’s soul dies a little. So it might be best to make your own job in cannabis right now). 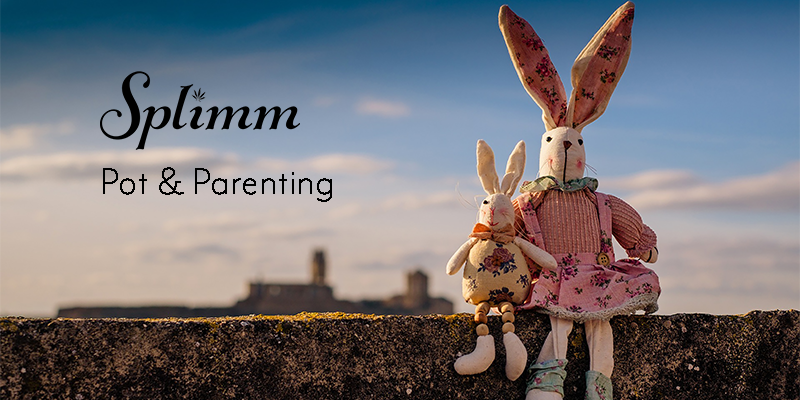 The fourth most frequently asked question, though, one we’ve actually covered in a previous Q and A, is “how do I consume discreetly at this upcoming concert/movie/children’s birthday/family reunion without stinking up the joint. Our answer is always, if you’ve got some prior experience, to bake a treat. However, most people don’t have the cannabis resources to make a whole batch of brownies, and plenty of people don’t want all that sugar. 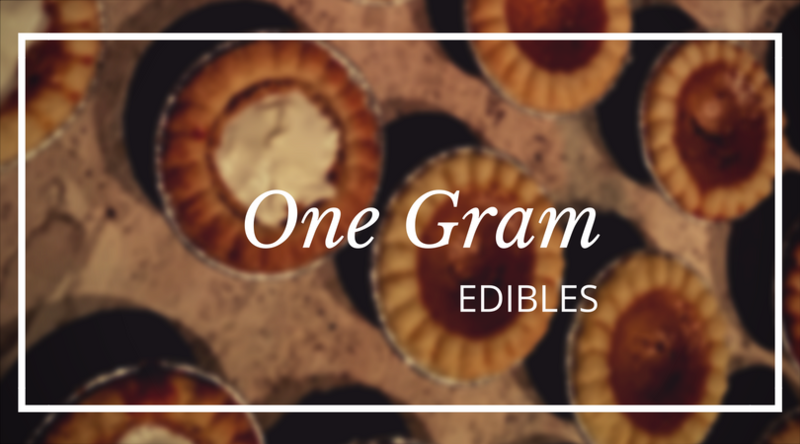 After several months of mad-scientist style experiments the Splimm Team has come up with a simple method of making edibles one gram at a time. It’s not the most efficient way to bake, but we’ve found it to be an effective way to save money on medicine and allows for a lot of variation to suit personal preference. -Preheat oven to 235 degrees. -Grind up one gram of flower. -After an hour remove from oven and adjust temp to 320. -Add in some extra fat if you like (just plain old butter is fine, I prefer some kind of Nutella-like spread), about half a tablespoon. -Bake at 320 for 22 minutes. I heard a rule of thumb about potency when I got to Oregon. Take the THC percentage and add a zero to get a rough idea of how many milligrams of THC are in any one gram of cannabis. For example, a strain that tested at 24% THC translates to 240 milligrams of edible cannabis per gram. Is this actually true? Who the fork knows. But in my experience this does seem to correlate to the edibles I’ve purchased over the counter. If nothing else it can serve as a baseline for your own experiments. Most people I know don’t need more than 50 milligrams of THC at a time, and many can have a great experience with less. So I recommend starting with something around 20% and dividing that into at least 4 portions. Experimentation is part of the point. No one should have to drop hundreds of dollars on an ounce of weed and hope for the best. Spending that kind of money is especially hard for people stuck in a prohibition state, where each gram needs to be carefully guarded and accounted for, because the sooner it runs out the sooner a patient is forced to take unnecessary risks to secure medicine. In places like, Oregon, Washington state, and Colorado, where you can easily purchase a variety of grams, the possibilities for unique edibles are endless. Like a coffee roaster, try different blends at different times of the day. Combine a high CBD strain with a high THC strain. Experiment with different flavors profiles and share your recipes in the comment section. ALWAYS IMPORTANT EDIBLE DISCLAIMER-Start Low (Dosage of THC) and Go Slow (Don’t eat too much too quick because it doesn’t feel like it’s “working”). Edibles are tricky business and should be treated with respect. If you’re new to cannabis, or you’ve been away for a while, start with a nice joint or pre-loaded vaporizer pen. Everyone reacts differently to cannabis, and this is especially true with infused food. If you do eat too much just remember: you aren’t going to die, you aren’t going to feel like this forever. It will pass through your body and after a good long sleep you’ll be fine. A special thanks to Bill at Half Baked Labs and The Doctor’s House for teaching me the art of slow roasting! I guess the one good reason for small batches of edibles is to test the potency. Must be a good thing for people new to baking & cooking Marijuana edibles. Great point! We also like the small batch edible for its grab-and-go convenience. Any one know if this works? Doesnt weed start to burn at 300°F? AM if you are still looking for an answer: Yes thc gets destroyed around like 300f-320f not quite sure but when the thc is mixed in something like butter than it never truly gets up to that temp. That’s why when you bake brownies it like 350f it doesn’t scorch the goodness because the internal temp can’t get up to oven temp. Hmm can I skip the last step just put the baked flower on a piece of bread with peanut butter?